Soil Extract for Lawns is specially formulated to stimulate high quality plant growth for all types of lawns including decorative, domestic and sports use. 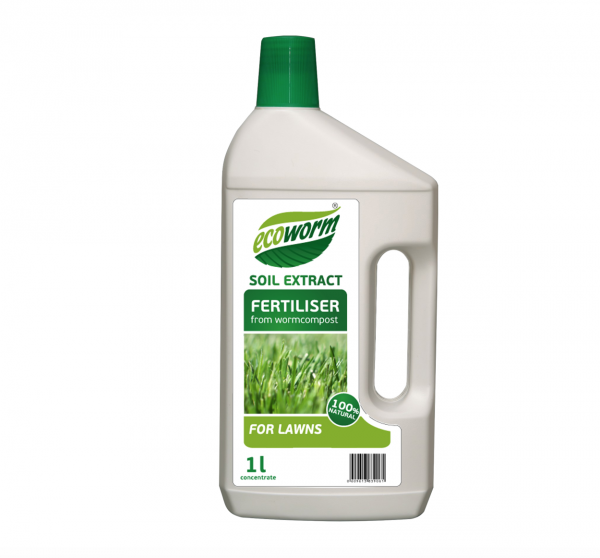 Soil Extract is a 100% Natural Humic Fertiliser made from Vermicompost. The concentrated extract contains a full complex of Humic, Fulvic and Amino Acids with Macro and Micro elements, Soil Antibiotics, Fitovitamins and Micro-organisms for easy plant absorption. For decorative lawns: 1 (25ml) cap in 3 litres of water. For sports lawns: 1cap (25ml) in 1.5 litre of water. Seed pre-sowing soaking (12 hours): 1 cap in 1 litres of water. Apply in the evening on a non-cutting day. Decorative lawns: once a month. Sports Lawns: two to three times a month depending on usage. Chemical composition: Humic acids 0.6 – 0.75%. N-P-K : 0.75% – 0.65% – 0.8% . Trace: Fe, Zn, Mg, Mn, Mo, Co, Na, Se, Va, B, S, I, Cu.